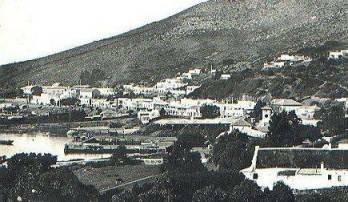 The Simons Town Museum is housed in "The Residency" which was built in 1777 as the winter residence for the Governor at the Cape. This museum showcases the history of Simons Town and its people. Rooms are organised on a theme basis which contains exhibits and displays. One room is dedicated to Able Seaman Just Nuisance a Great Dane that was enlisted into the navy. His story is told through a slide show and a special display. Other rooms include the Gerry Read Hall with handcrafted dolls houses, the Shipwreck Room, the Military Room and the Royal Navy Room. In the punishment cell, you can still see the whiplash marks on the ceiling. The shop on the premises offers souvenirs of Simons Town, Just Nuisance and the penguins.